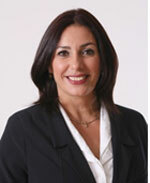 Miri Regev, Minister of Culture and Sport. Home / Miri Regev, Minister of Culture and Sport. The sounds of the Harp have accompanied the Israeli people for generations, from the days of King David, who removed the evil spirits from King Saul by playing the harp, up to modern times. More than two thousand years after King David, the sounds of harps still emerge through all parts of the Nation, creating a new generation of “the Psalmists of Israel”, a generation which consists of varied population groups: Men and Women, Jews and Arabs, Religious and Secular, native-born Israelis and New Immigrants. The sounds of the harp, which come from the heart and find the way back to the heart, have become more and more popular among musicians and music lovers in Israel. The 19th International Harp Contest in Israel grants the opportunity to all the harp admirers to enjoy the exceptional musical celebration which introduces with the greatest harpists of our time. They will come to Israel from 14 different countries around the world. The audience will have a chance to meet, up close, with the people behind the sounds and enjoy the enchanting music that builds bridges, removes barriers, embraces the individual and unifies us all. As the Minister of Culture and Sport, who wishes to make Art and Creation accessible to everyone in Israel, I am proud that these International Music Festivities will take place in the glorified “Knights’ Halls” in old Acre. Acre is a city which we are all very proud of for its cultural richness, and for its fascinating co-existence between Jews and Arabs. I would like to thank the Acre Municipality and its Mayor, Shimon Lankri. Together, we will continue to develop this wonderful city, and build gates to the future, which will be worthy of its magnificent past. I would like to congratulate the Harp and Zamir Society, headed by ex-member of the Knesset, Ambassador Colette Avital, who conducts the administration of the Contest with great devotion and dedication. I would like to thank the Chairperson of the World Harp Congress Ms. Susann McDonald, who will be our honorary guest. I would also like to thank the Music committee headed by Ms. Florence Sitruk, and of course, Mr. Zubin Mehta, the Chief Conductor of the Israel Philharmonic Orchestra, for his role as honorary president of the International Harp Contest in Israel. I wish all the contestants the best of luck. May this thrilling event be most enjoyable for all the participants and may we all have days of magic, beauty and wonderful music!